The 2016 Chinese guidelines for the management of dyslipidemia recommended mixed rules that centered around a 10% 10-year risk threshold to initiate statins for the primary prevention of atherosclerotic cardiovascular disease (ASCVD). 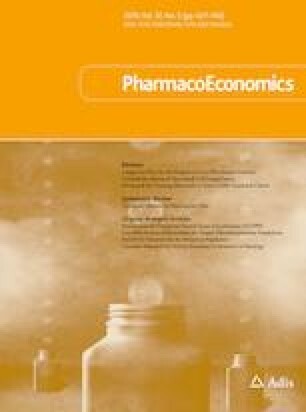 The present study aimed to evaluate the cost-effectiveness of the guideline statin-initiation strategy and alternative strategies. A decision analytic model using discrete event simulation with event probabilities based on a validated ASCVD risk prediction tool for Chinese was constructed. Risk factor inputs were from the dataset of a nationally representative survey of middle-aged and elderly Chinese. Data of statin treatment effectiveness were from a published meta-analysis. Other key input data were identified from the literature or relevant databases. The strategies we evaluated were the guideline strategy, a 15% 10-year risk threshold strategy and a 20% 10-year risk threshold strategy. After excluding any extended dominance strategies, the incremental costs per quality-adjusted life year (QALY) gained of each strategy was calculated. The 20% 10-year risk threshold strategy was an extended dominance option. The incremental costs per QALY gained from the 15% 10-year risk threshold strategy compared with no treatment and the guideline strategy compared with the 15% 10-year risk threshold strategy were CN¥69,309 and CN¥154,944, respectively. The results were robust in most sensitivity analyses. The guideline strategy and the 15% 10-year risk threshold strategy are optimal when using the three times and the two times the gross domestic product per capita willingness-to-pay standards, respectively. The online version of this article ( https://doi.org/10.1007/s40273-019-00791-8) contains supplementary material, which is available to authorized users. The authors thank Erli Zhang, MD, Guangyao Li, PhD, and Xiayu Jiao, MS, for their work on reviewing the model. This analysis uses data and information from the CHARLS dataset and codebook. For more information, please refer to charls.pku.edu.cn. The contents of this article are solely the responsibility of the authors. Concept and overall approach: YJ and WN; data collection: YJ and WN; programming: YJ; analysis and interpretation: YJ and WN; drafting the manuscript: YJ; reviewing and revising the manuscript: YJ and WN. The authors did not receive any grant from funding agencies in the public, commercial, or not-for-profit sectors for the submitted work. YJ was a research assistant at the University of Southern California when the submitted work was conducted and is an employee of Amgen Inc. WN was a research fellow at the University of Southern California when the submitted work was conducted and is an employee of Medtronic Inc.
All data generated or analyzed during this study are included in this manuscript (and its online supplemental files). The Excel simulation model used for the analysis and the program code in the model were provided for peer review. The World Bank. Life expectancy at birth, total (years) China; 2017. https://data.worldbank.org/indicator/SP.DYN.LE00.IN?locations=CN. Accessed 18 Dec 2018. Wulf MD. Population pyramids of the World from 1950 to 2100—China 2018; 2018. https://www.populationpyramid.net/china/2018/. Accessed 18 Dec 2018. Yaozh. Information of Drug Winning Bid; 2018. https://data.yaozh.com/yaopinzhongbiao. Accessed 17 May 2018. National Bureau of Statistics of China. Consumer price indices, healthcare; 2015. http://data.stats.gov.cn/english/adv.htm?m=advquery&cn=A01. Accessed 17 Oct 2015. World Health Organization. Global burden of disease 2004 update: disability weights for diseases and conditions. Geneva: World Health Organization; 2004. http://www.who.int/healthinfo/global_burden_disease/GBD2004_DisabilityWeights.pdf. Accessed 13 Oct 2015. World Health Organization. Life tables by country, China; 2013. http://apps.who.int/gho/data/?theme=main&vid=60340. Accessed 08 Oct 2015.